Overwhelmed by the complexities of life, couples often find their “first love” ability of thinking of the future, challenging to say the least. Refocus and Rekindle equips couples to have the conversations and dream about what God has for them in the next season of life and marriage. Empty-nesters and couples going through a new stage in life will be introduced to tools that will empower them to freely and safely discuss plans for the season(s) ahead together. Our retreat experiences are tailored for transformation. Whether you’re preparing to get married, looking to strengthen your marriage or taking proactive steps to save it, our programs are designed with you and your spouse in mind. We believe the strongest marriages are anchored in intimacy, vulnerability and safety. Our peaceful setting offers a backdrop for experiences that can take your marriage to the next level. Taking time to get away and focus on one another can revitalize your marriage. Join us and strengthen your relationship with your spouse. The vision for WinShape Marriage came alive in 2001 when WinShape Foundation acquired a student-run dairy enterprise from Berry College. Beautiful, whitewashed buildings with red roofs were scattered about the old, picturesque farm. 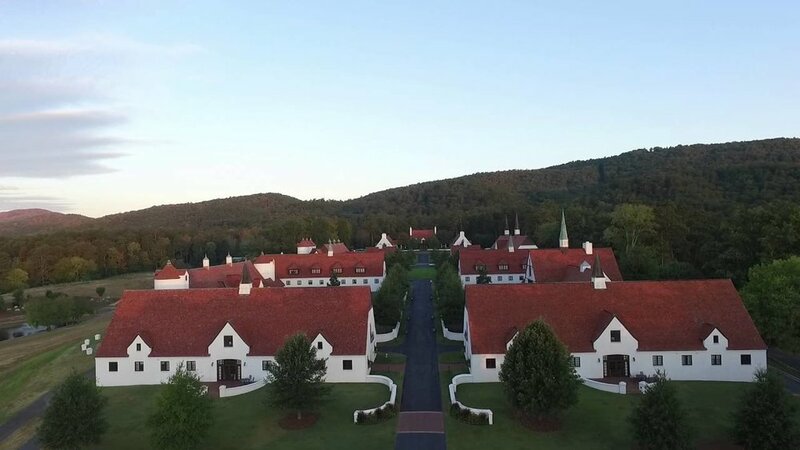 These treasures from the past, nestled behind the college's main campus, were thoughtfully renovated into a stunning retreat complex. Within this beautiful setting, WinShape Marriage was born in 2004. Since then, thousands of couples have benefited from our robust programming, from pre-marital programs and adventures, to Intensives that have changed lives and saved marriages.